Sewer problems are the last thing property owners want to get their hands dirty with. It requires more than just elbow grease to fix broken sewer systems, and the difficulty is often due to how troublesome it is to assess the damage. This is even more problematic if the damage is irreparable or requires more extensive repair work, especially in commercial settings. If you are looking for professional and reliable sewer line repair in Utah, the place to contact is Beehive Plumbing. 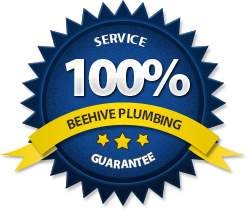 Beehive Plumbing is the name to trust when it comes to professional sewer pipe repair in Utah. Our team of professional plumbers all have experience addressing everything from simple blockages to full sewer line repair and replacement. Whether it’s a burst pipe or collapsed drains, we’re the ones you can trust to solve the problem before it leads to costly repair work in the future. We offer 24-hour emergency plumbing services and our expert technicians can use any of the following sewer repair techniques to get your systems running perfectly in no time. Here, the technicians use the ‘open-cut/trench’ method to gain access to the damaged section to the sewer line. A backhoe is then used to open and refill the work area. Many people complain of destroyed yards, parking lots, and driveways when sewer line repair companies come to fix their sewer line problems. But at Beehive Plumbing, we say this does not have to be the case. With our unique trenchless repair techniques, we will not only fix your sewer line problem in no time but also leave your yard as compact as ever. With this method, our technicians make insertions or holes at both ends of the damaged sewer pipe. They then insert a new replacement pipe on one end and pull it through the old pipe’s path using a hydraulic machine. This causes the old pipe to burst or split in order to replace it with a new, stronger, leak-resistant and highly durable sewer pipe without having to dig up the old one first. The pipe re-lining process is a trenchless repair technique that enables us to install a pipe within the old pipe. 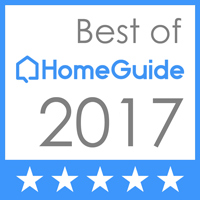 This technology is the best when it comes to saving your outdoors from destruction through trench digging for sewer line repairs. We use epoxy relining materials that mold inside the existing pipe and create a new and smoother inner wall for the enhanced function and flow of your sewer line. Pipe re-lining can typically be used to repair any type of piping system including concrete pipes, clay pipes, PVC pipes, roof drain stacks, electrical conduit lines, and all underground piping systems among more. In some cases, it’s just time to do away with the old and usher in the new. If your sewer system is beyond repair, we will professionally advise you and give recommendations on the way forward. We know how to make replacing your sewer lines fit your budget and work for you best! At Beehive Plumbing, we have the experience handling a range of different commercial and residential plumbing concerns. We’re the name to trust for professional sewer repair in Utah. When you work with us, you’ll have the peace of mind knowing that our team is on the job addressing your property’s myriad of plumbing concerns before they become a costlier venture in the future. Apart from addressing your standard range of sewage problems, our sewer repair services in Utah also includes fixing broken sewer and main water lines, replacing collapsed drains, and finding the cause of continuous blockages, to name a few. We’re the ones you can count on for emergency plumbing, and we’ll be there to deal with your system’s problems in as little time as possible.